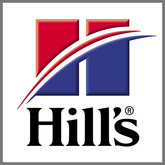 Hill's Pet Nutrition Inc. is provider of cat and dog foods. They offer their service as a subsidiary of Colgate-Palmolive Company. The company provides a high-quality pet nutrition under the brand name of Prescription Diet and Science Diet. Dr. Mark L. Morris founded the company in 1939. They are the first to offer world's first pet food to deal with kidney health of pets. The company offers high quality services for animal welfare. Hill's Pet Nutrition provides services across the world from three different headquarters. The company, presently, has revenue of $2.2 billion. Recently, pet food recalls involved their five products of Science diet and Prescription Diet. There are currently 0 consumer reviews about Hill's Pet Nutrition Inc available. Share your review. Please take a note that you are about to post a public review about Hill's Pet Nutrition Inc corporate office on CorporateOffice.com. This review will be public, so please do not post any of your personal information on this website. If you would like to contact the corporate offices of Hill's Pet Nutrition Inc, please use their contact information such as their phone number, website, and address listed above to contact them. However, sometimes staff from Hill's Pet Nutrition Inc headquarters do read the reviews on this website.